Learn more about the best ADHD diet plan for children to help decrease signs of impulsive behavior, hyperactivity and selective attention. It may seem like the majority of symptoms are inherited or biologically impossible to change, but the truth is that food is fuel for the body. If the body isn't getting the right nutrients and minerals it needs, then it isn't going to function the way that it should. Just like a car wouldn't run if you put something other than gas in in the gas tank, our bodies use food the exact same way! Starting a special ADHD diet plan should be put in place prior to looking at medications or other treatment options. Start with an allergy test through your doctor to be sure there aren't any underlying allergies causing symptoms. Even with this test, you may still want to consider eliminating the following foods as some research suggests that they can exacerbate symptoms. Consult a doctor prior to any dietary changes, but then you may start by eliminating them all for 2 weeks and add each one back for a few days one at a time to see how your child reacts. This is a type of elimination diet. I realize this may be difficult to do if the majority of the diet is made up of these items. I would recommend incorporating other things first that do not contain these items and attempting to increase fruits and vegetables, so that there are still quite a few food options once eliminated. Along with other artificial colors many parents have reported this particular ingredient to be correlated with irritability, aggressive behavior and hyperactivity. Foods that contain red dye 40 can be very deceiving and it can be found in chips, chocolate cake, and other common snack foods. The food does not necessarily have to be red. It can also be found in children’s vitamins and medicine. We use the Animal Parade vitamins that have no artificial colors or flavors. Personally, speaking they taste really good too! • Food Preservatives - Sodium Benzoate, BHA, and BHT are part of the Feingold ADHD diet plan for children. These are said to cause a reaction in the child that results in symptoms. Studies show a fairly good success rate when this program is applied. Other things I would plan to limit include sugar, caffeine, and simple carbohydrates to minimize symptoms as these can often increase anxiety, feelings of nervousness, hyperactive behavior and decrease the ability to pay attention. •	Processed sugars (ex. 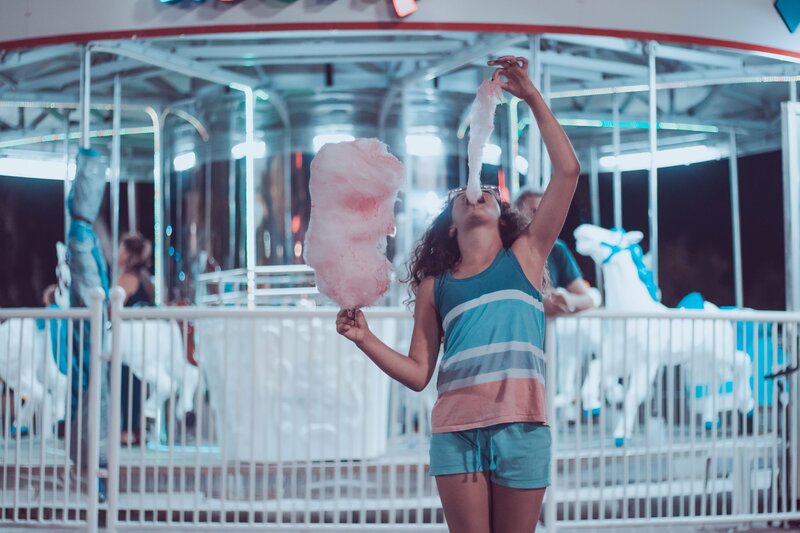 candy, soda pop, sugar cereals, pastries, donuts) - When we consume too many sugars, it can make it difficult for the body to balance blood sugar in some. This results in an up and down effect in mood and attention depending on blood sugar levels that could lead to impulsivity and attention problems. Young children should only be getting no more than 3-4 teaspoons of sugar a day and older children should be getting no more than 5-8 teaspoons a day. Unfortunately, children get more than this in only one soda. Just to put things into perspective, one teaspoon equals 4.2 grams. There are about 44 grams in one bottle of cola almost twice the amount recommended. There are about 25 grams in two pop tarts. Already almost twice the amount for younger children and close to the amount recommended for an older child in an entire day. One dum dum sucker has about 5 grams of sugar. So, about three pieces of candy already put a younger child at the limit for the day. However, because sugar is pretty much added to everything these days, just by having one things listed above you aren’t leaving any room for the sugar already added to what would be part of the normal diet. Sweet leaf stevia products are a great alternative to sugar that can be used for baking. •	Simple Carbohydrates – ex. Processed sugars, white bread, white pasta and rice. Simple carbohydrates include things such as white bread, white pasta, and enriched white flour based foods. The reason they are not good for an ADHD diet plan is because they can lead to blood sugar spikes (hyperactivity), which ultimately leads to blood sugar drops (attention difficulties and fatigue). • Gluten free casein free diet plan - There's a lot of research on using this diet for children with autism, but it could also be extremely beneficial to apply within an ADHD diet plan based on the opiate theory. You can read more about this by clicking the link. While trying to gradually decrease simple carbohydrates in your ADHD diet plan, it is also good to focus on increasing complex carbohydrates such as 100% whole wheat bread (make sure you read the ingredients), 100% whole wheat pasta, spinach pasta, brown rice, fruit and vegetables. If your child has a difficult time switching over to these you can try mixing them with the white pasta/rice and gradually adding more of them until you are only eating the whole grain types. Attempting to include foods containing omega-3 fatty acids can be difficult, especially considering that that the main sources are generally from fish. However, you can get fine ground flaxseed that can be added to cereals or smoothies. Studies are now showing that symptoms of ADHD improve considerable after adding omega-3 fatty acids to an ADHD diet plan. There are also DHA supplements for children, which contain a certain kind of omega-3 fatty acids. The Disney Cars brand I use for my son contains DHA and there are others as well. You can also get children’s liquid DHA supplements that can be put in their applesauce or juice. I personally believe that daily vitamins are extremely important for all children and adults. Whole food vitamins are the best to ensure that the body is absorbing as many nutrients as possible. With the way that most food is created it is almost impossible to get the daily recommended nutrients in just a diet. Even fruits and vegetables that are shipped from across the country lack the original nutritional value. Actually, they say that frozen are the most nutritious because they are frozen immediately and supposedly hold all of their nutrients. Another option to consider is the Feingold Diet. It involves eating only all natural foods that do not contain artificial flavors, colors, or preservatives. There is a cost to obtain the exact list of foods that are okay, but reportedly has a good success rate in decreasing symptoms. 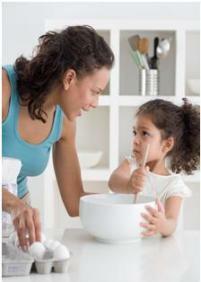 Whichever you consider, making sure your child is getting proper nutrition is most important. Regardless of whether an ADHD diet plan helps with behavior or symptoms, it is important to build good eating habits that will last a lifetime and help to decrease the chances of future health concerns, such as heart disease.